With so much information out there on the Internet, how do you know which ones you can use for your assignment? You need the CRAP Test! 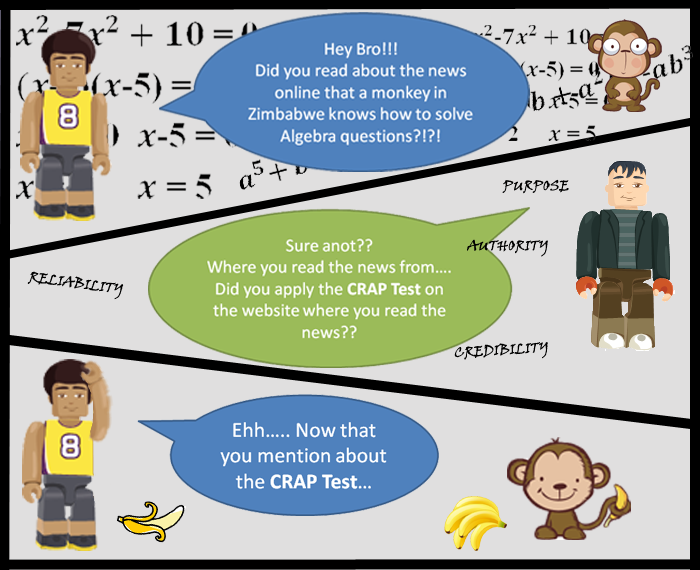 This Research Guide has been put together by the library to show you how to use the CRAP Test so that you don't use crap resources for your assignments by mistake. Can you sing the CRAPpy Song? Click on the "Oh CRAP!" tab for more info on the CRAP Test.